A latter 1990s version of the long running TAF football game series, this release was one of a number of 'local derby' sets. 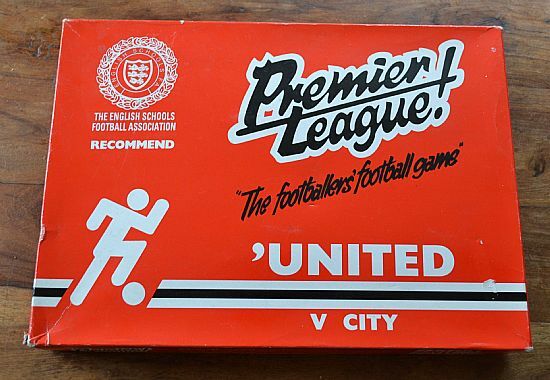 Although one version was just released as 'United v City' there is no doubt that it is the Manchester derby - you can even read the sponsors logos! Probably right at the beginning of usage rights issues as money swamped football. 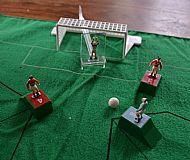 The original derby in table football form. One of a number of local derby editions. 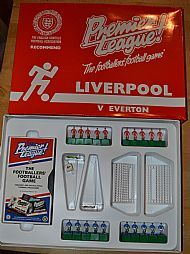 Totally unused near mint set. 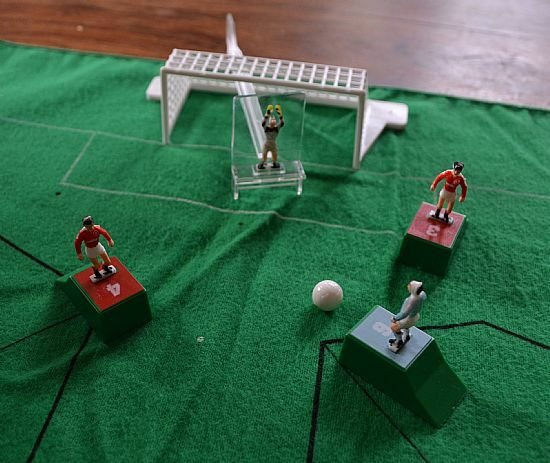 The Merseyside derby in table football form. One of a number of local derby editions. 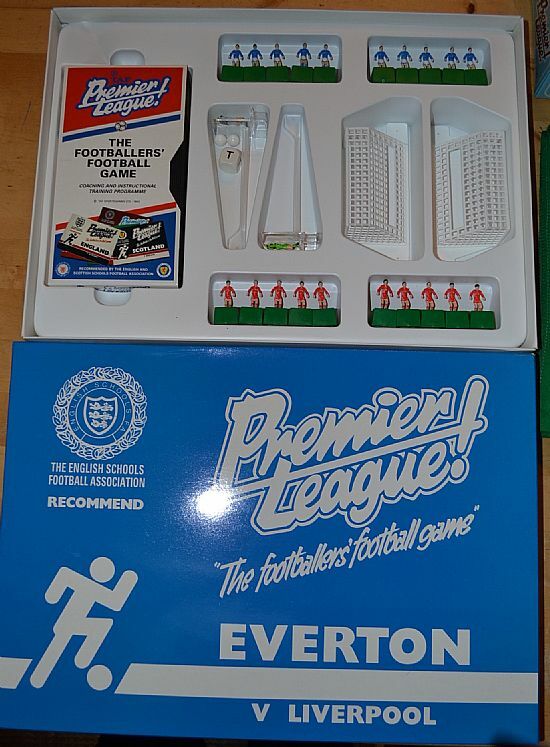 Totally unused near mint set. 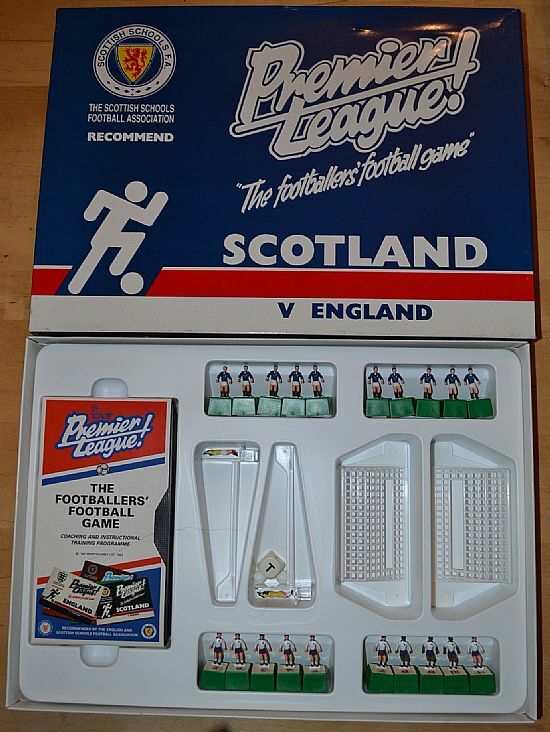 The Dalglish derby in table football form. One of a number of local derby editions. 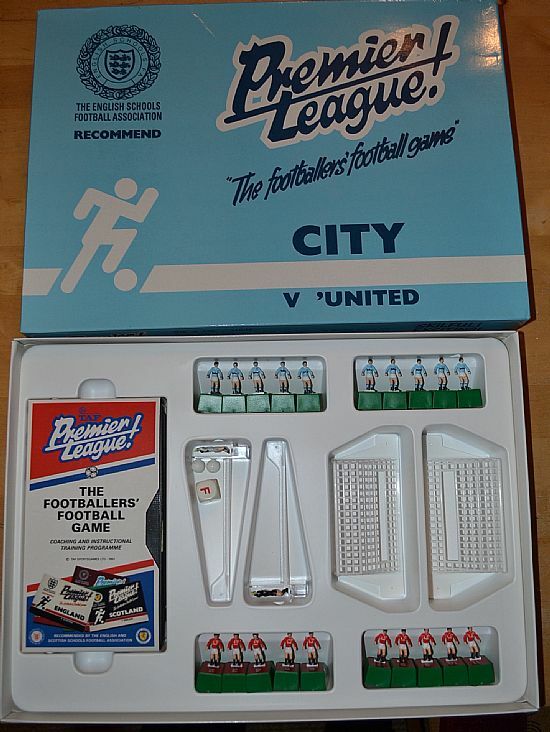 Totally unused near mint set. 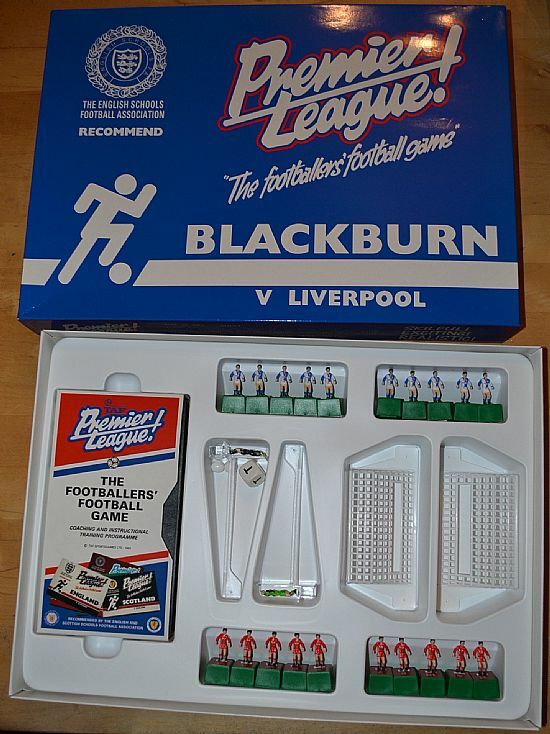 From around the time Blackburn won the league despite losing at Anfield. 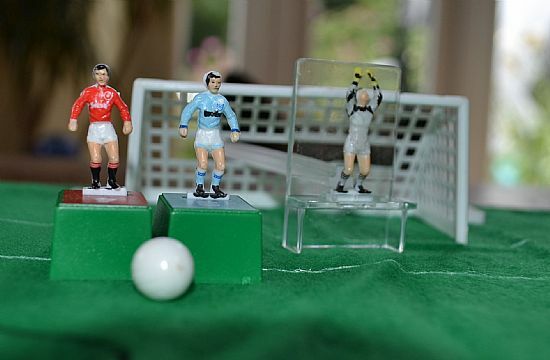 The Manchester derby in table football form. One of a number of local derby editions. 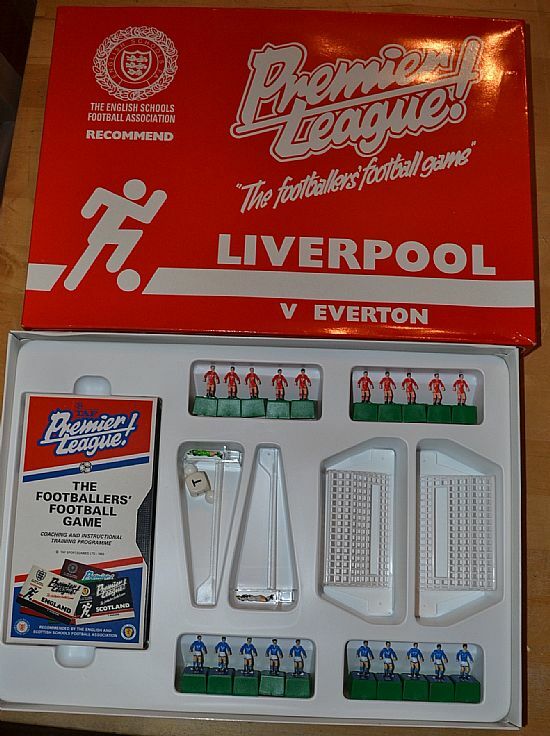 The Merseyside derby in table football form. 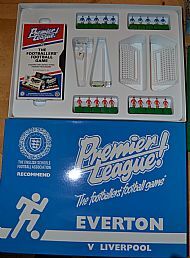 One of a number of local derby editions. 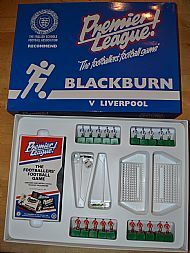 Two teams on large bases, ball, dice, goals and marked out baize pitch plus something called a video cassette and rulebook. 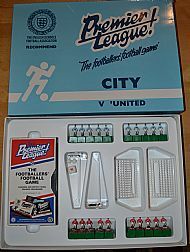 Not refered to as Manchester but just City, No doubt who this Brother sponsored team are though. The opponents are Sharp sponsored Manchester United. 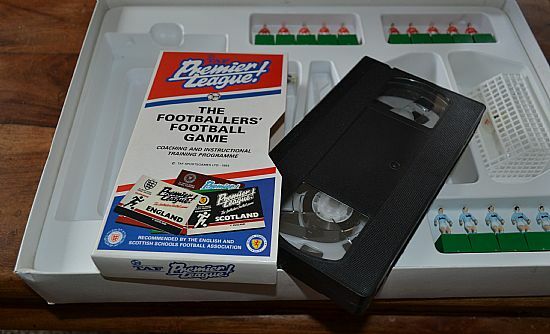 Younger readers might not be familiar with the joys of a VHS video cassette. Big bloke on a base challenges two other players on big bases. 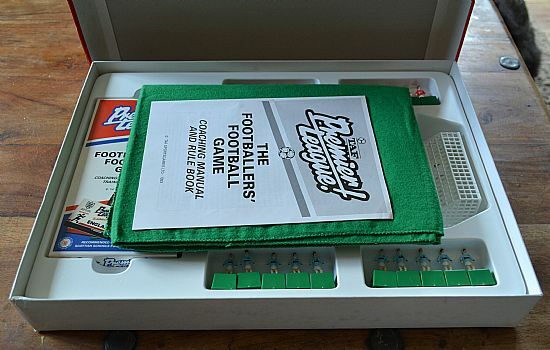 Very nicely machine painted team players and goalkeepers, Very good long running table football game.